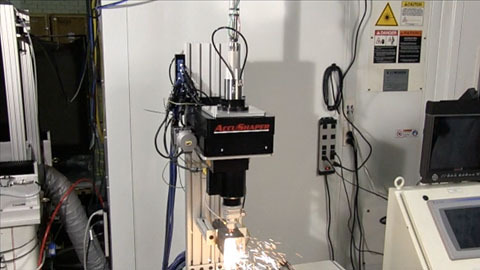 AccuShaper™ - Laser Mechanisms, Inc.
Laser Mechanisms’ AccuShaper™ Trepanning Head delivers fully programmable X-Y-Z motion control for laser cutting/welding applications. With a working envelope of 50 mm in X-Y-Z (expandable), AccuShaper easily adapts to the contours of your process. The AccuShaper Trepanning Head delivers optimal performance when configured as a fixed, stand-alone unit with a stationary or moving part. 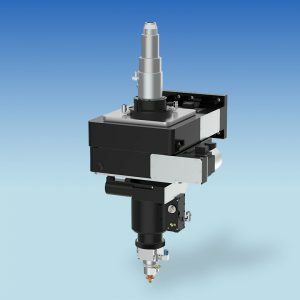 The Z-axis of the AccuShaper can also be servo controlled by the system’s capacitive height sensing gas jet tip for high quality cutting and drilling. With interchangeable motors and ball screws, AccuShaper’s operation can be custom engineered to your laser application.